About Spectrum in Motion Dance Theater Ensemble, Inc. Spectrum in Motion is a contemporary dance company founded in 1982 by Olivia Davis in Western Massachusetts. She began her teaching career at the University of Massachusetts and moved on to direct the Dance Programs for City Youth at the School of Hartford Ballet and Dance Connecticut. The company began teaching and performance residencies at Charter Oak Cultural Center and Asylum Hill Congregational Church in Hartford in 2002. The residencies are now located at the Asylum Hill Boys & Girls Club of Hartford and the Classical Magnet School. The professional Company has received numerous commissions for the creation and performance of original work and has enjoyed a rigorous performance schedule in Greater Hartford and Massachusetts. 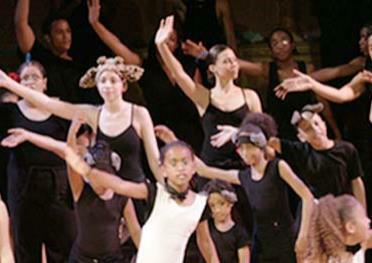 Stretching for Life is the Company's dance education program serving Hartford youngsters aged 4 to 17. Designed with curricular links to Connecticut's Common Core of Learning, age and skill-appropriate classes are offered 20 hours per week after school and week-ends during the school year. Stretching for Life continues in the summer with a full day 6-week intensive dance program called Instruments of Culture. Ms. Davis has received the prestigious Distinguished Service Award from Connecticut Dance Alliance for her commitment to serving Hartford’s children and her excellent dance pedagogy.